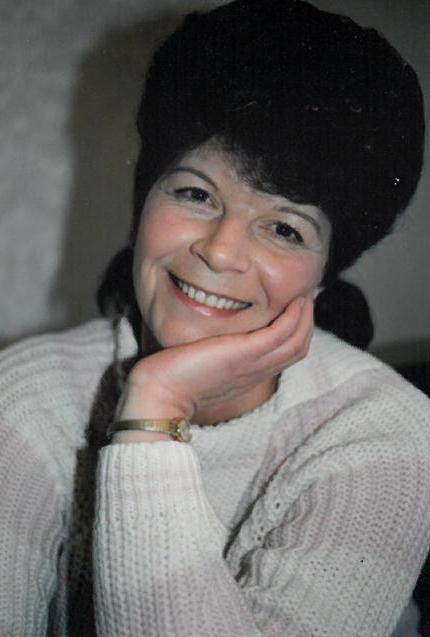 Obituary for Wanda Teagle | McKee Mortuary Inc.
Wanda L. “Chic” Teagle, 77, Kokomo, passed away April 15, 2019 at 12:50 a.m. at Peabody Healthcare Center, North Manchester. Wanda was born on April 21, 1941 at home on Lincoln River in Magoffin County, Kentucky to Joe and Betty (Hale) Bradley. On September 10, 1996, Wanda married Lowell K. Teagle. Once Lowell retired, they enjoyed traveling together. Wanda will be remembered by her husband; her daughter Lisa (Stephen) Turley, North Manchester; six brothers Phil (Avadean) Bradley, Claypool, IN, Doug (Bernie) Bradley, North Manchester, IN, Gordon (Norma) Bradley, Warsaw, IN, Carlos Bradley, Syracuse, IN, Joe D. (Kelly) Bradley, Warsaw, IN, Ralph (Peggy) Bradley, Huntington, IN; three sisters Betty Jo (Curtis) Robinson, Florida, Sharlon (Danny) Castle, North Manchester, IN, Patricia (Ray) Cumberland, Silver Lake, IN; three grandchildren and six great-grandchildren. Friends and family may call Friday, April 19, 2019 from 11:00 a.m. to 2:00 p.m. at McKee Mortuary, 1401 State Road 114 West, North Manchester. Funeral services will begin at the conclusion of calling. Pastor J.P. Freeman will officiate and burial will be held at Fairview Cemetery, County Road 300 East and County Road 1000 North, Servia, IN. For those who wish to honor the memory of Wanda, memorial contributions may be made to the Alzheimer’s Association, 50 East 91st Street, Suite 100, Indianapolis, IN 46240. There's still time to send flowers to the Visitation at the McKee Mortuary Inc. from 11:00 AM to 2:00 PM on April 19, 2019.